Please click here to view a sample of our Wedding Menu. For the complete menu, please call our Event Specialist at 602-863-9653 or complete the form below. We look forward to learning more about your special day! Let us cater your wedding with style and ease. 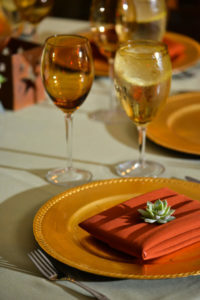 We are one of the most experienced wedding caterers serving the Phoenix area and all of Arizona. 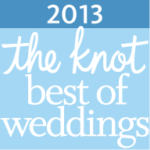 And we offer many options to make your wedding event a day you will long remember. 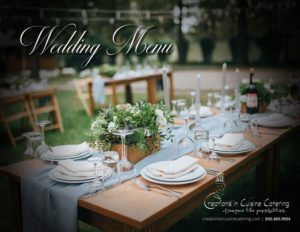 Our wedding catering Phoenix packages were created to offer ease in ordering with understandable menu and service options. For a more customized approach we offer a diverse portfolio of menu selections not listed here. Contact our Phoenix office today to consult with one of our event specialists and culinary team to create a custom menu with emphasis on taste, freshness and creativity. 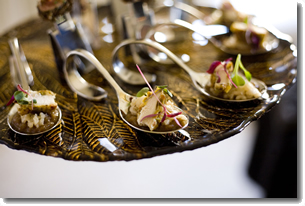 Please remember full event planning is part of the package with Creations in Cuisine Catering. We carry a complete line of rental equipment and will assist you in finding the perfect venue location, entertainment, floral design and transportation to your location in the Phoenix area or anywhere in Arizona. 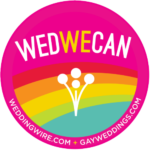 We have created distinctive wedding events in venues across Phoenix, Scottsdale, Tucson, Flagstaff and many other cities in Arizona. 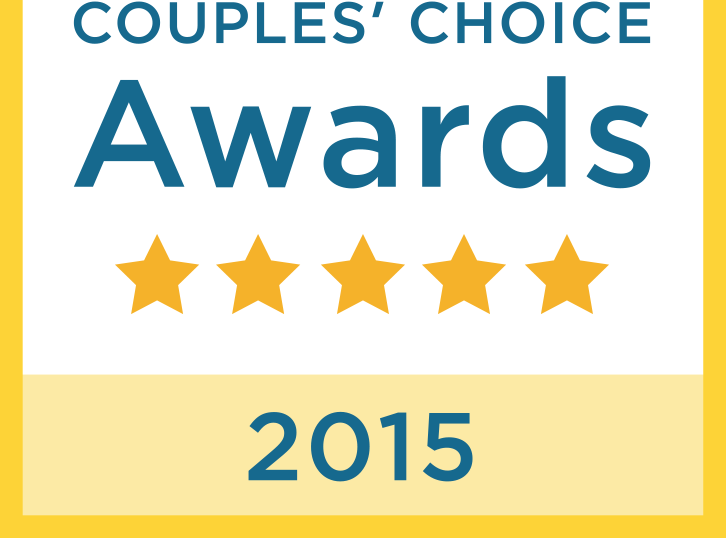 Our unsurpassed customer service will allow you to be a guest at your own event. A large variety of menu creations perfect for your wedding reception. You may order by the platter for casual, light appetizer receptions or for a more elegant event try our handcrafted canapés. 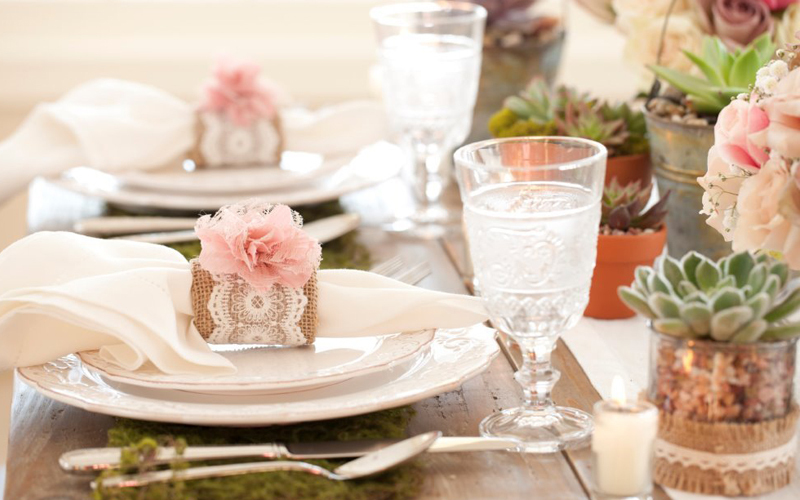 A formal affair requires elegant menu creations, exquisite table linens, china and stemware. Pamper yourself and your guests by selecting one of our plated meal creations, either a single entrée or a combination plate. Plated meal creations include all wedding package amenities. You and your guests will be attended to by our professional service staff with close attention to every detail insuring unsurpassed customer service. Contact our certified wedding planner in our Phoenix office at 602-863-9653 for a consultation and event planning assistance.